Ancient Sanskrit word Janak (जनक) is name of a king who was father of Goddess Sita. Janak literally means father, parent, producing, begetting and generating. Janak is found to be referred in the Epic Ramayan (रामायण) in which Janak is the father of the Goddess Sita and was king of Mithila (मिथिला). Janak is also mentioned in the Mahabharata (महाभारत), Bhavprakash (भावप्रकाश), Kashika-Vritti (काशिका-वृत्ति) and Varah-Mihir-Brihat-Sanhita (वराह-मिहिर-बृहत्-संहिता) with meanings like generative, generating, begetting, producing and causing. Mention of this name is also found in Harivansh (हरिवंश) and Panchtantra (पञ्चतन्त्र) with meanings as a progenitor or a father. Janak also finds reference in Shatpath-Brahman (शतपथ-ब्राह्मण), Rajtarangini (राजतरंगिणी) and Bhagvat Puran (भागवत-पुराण) as the name of several kings and men. 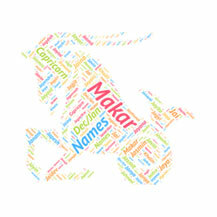 Janak is a very popular name in India. Janak is also used by more than 850 people in India as the name of their children. Janak is also a popular name in the USA as it is used by more than 100 people since the year 1981 as the name of their children. Janaka is the name used to refer to the kings of Videha. The Janaka Dynasty ruled the Videha kingdom from their capital, Mithila, identified with modern Janakpur in Nepal. Janak Ram is an Indian politician member of parliament from Gopalganj (Lok Sabha constituency). Major General Janak Singh was Army Minister and later Revenue minister in the government of Maharaja Hari Singh of Jammu and Kashmir State. Sumantra (Sanskrit सुमन्त्र) is ancient name of Sanskrit ori..
Sanskrit name Nishtha (निष्ठा) literally means excellent or ..